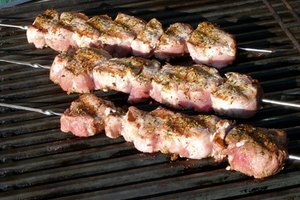 Country-style ribs are cut from the sirloin or rib end of the pork loin. 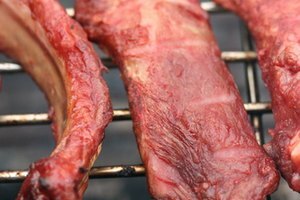 These are the meatiest variety of ribs and, like many other forms of barbecue, taste best when they're slow-cooked for hours. 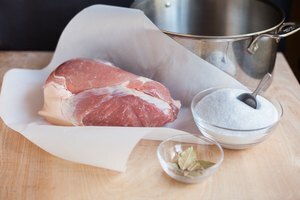 However, pressure cooking this style of ribs can provide the benefits of slow-cooked pork with just as much flavor in a fraction of the time. If cooked properly, the meat will literally fall off the bone. Heat 1/2 cup of olive oil over on your stove and brown the ribs for approximately a minute on each side. Discard the fat and grease, rinse the pan and place the ribs inside the pressure cooker. Peel and dice the garlic and onion. Heat the pan again with 1/2 a cup of olive oil over a medium heat and brown the garlic and onion and lightly for two minutes. Remove the pan from the heat, and place them inside the pressure cooker as well. Place the water and barbecue sauce into the pressure cooker, and set it on the stove on high heat. Close and lock the lid of the pressure cooker. Set your cooking heat to low once high pressure is attained. Cook the ribs for 15 minutes for every two pounds of ribs. After cooking is complete, shut off the burner and allow the pressure to dissipate. Open the pot when the valve on top of the lid stops whistling. Some cookers have a pressure release value, which is an option if you don't want to wait. Turn on your oven's broiler. Place the ribs in a roasting pan and coat with the salt and pepper. 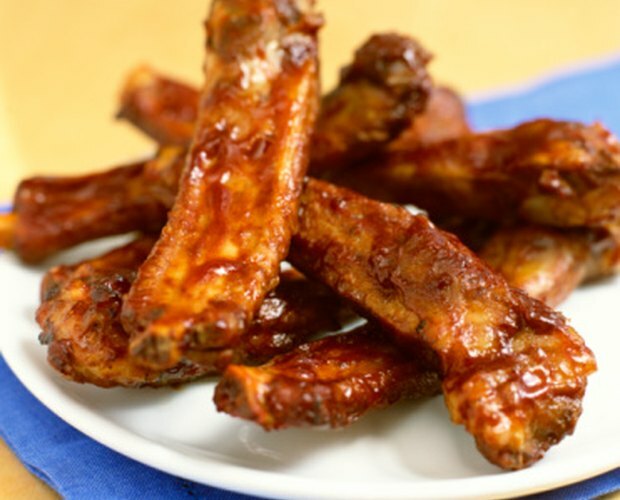 Glaze the ribs with barbecue sauce and place in the broiler for five to seven minutes on each side. Glaze the ribs again when you turn them. This should caramelize the ribs and give them a charbroiled taste. 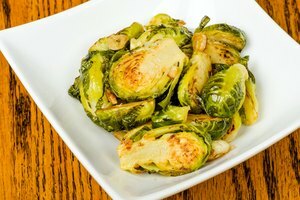 Serve with cole slaw or baked beans to complete the meal. Modern pressure cookers have a digital face on the lid that indicates when high pressure is attained; conventional ones make a pressured, steaming, whistling sound from the top valve.